PA notifies US it will no longer accept aid, in protest of anti-terror funding law. Israel pushing for compromise to continue US aid to PA. The Palestinian Authority will no longer accept American aid money, starting next month, in protest of the passage of a new law to combat funding of terrorism. 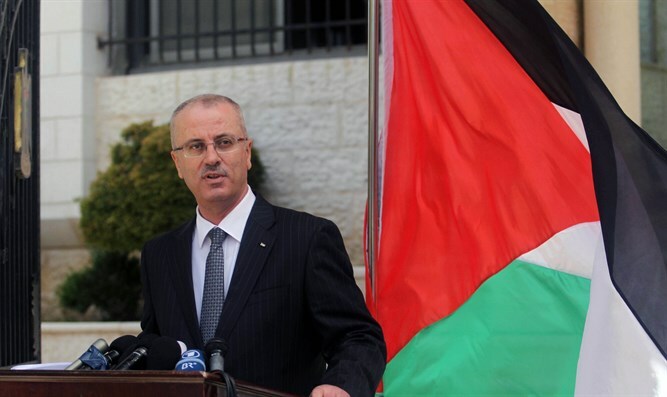 On December 26th, according to a new report by Yediot Ahronot, Palestinian Authority premier Rami Hamdallah penned a letter to Secretary of State Mike Pompeo, notifying the Trump administration of the PA’s plans to reject future American funding. According to Hamdallah, the PA will no longer accept financial aid from the US after January 31st, when a new US law aimed at countering PA funding for terrorism takes effect. The ACTA, passed last year with broad bipartisan support and signed into law by President Trump, would make it easier for American courts to seize the assets of organizations which carry out or assist in carrying out terror attacks which injure or kill Americans, if those organizations receive funding from the US government. The PA, which has been the target of past lawsuits for its role in terror attacks which killed or maimed American citizens, is concerned it could face the seizure of assets in the US should it continue to receive US financial aid. According to the Yediot Ahronot report, a senior Israeli official claims that the Israeli government is working behind the scenes to push for an amendment to the ACTA which would exempt the Palestinian Authority and enable it to continue to receive US aid. Since 2018, the US has cut aid to the Palestinian Authority, both by congressional action (including passage of the Taylor Force Act) and changes in policy by the Trump administration. Last December, US Ambassador to Israel David Friedman claimed that all US aid to the PA had been terminated, except for funding of the PA's security apparatus to support its cooperation with the Israeli Defense Ministry.